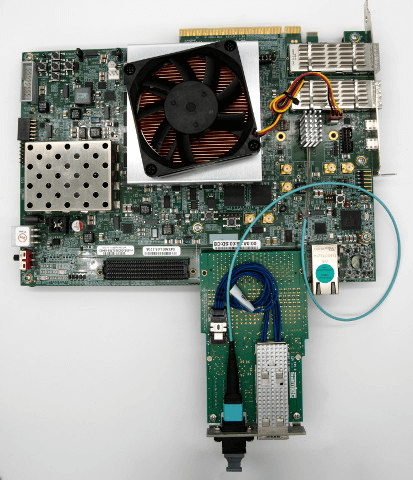 FMC+ Active Loopback Card: This loopback mezzanine card was designed to be used in conjunction with the Xilinx® UltraScale+ VCU118 Development board and is included in the VCU118 Development Kit available from Xilinx®. The mechanical design of the loopback card is based on an elongated version of the VITA 57.4 single width mezzanine card. This same loopback card is also available from Samtec as a standalone product to aid in FMC+ development environments. This product is only available with Samtec's Flyover QSFP28 Twinax Cable Assembly (HDR-193805-01-ECUE) and aluminum faceplate attached. 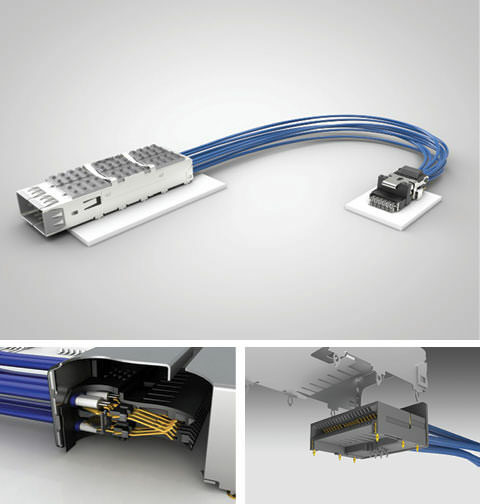 FMC+ Connectors: Based on Samtec's SEARAY™ High-Speed Array system, FMC+ connectors are 560 I/O high-speed array connectors for FMC+ carriers and daughter cards. 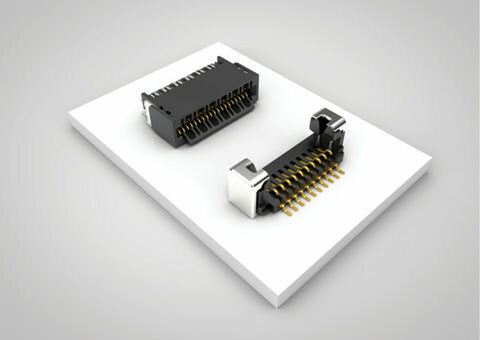 FMC Connectors: Based on Samtec's SEARAY™ High-Speed Array system, FMC connectors are 400 I/O high-speed array connectors for FMC carriers and daughter cards. FireFly™ Overview: The Samtec FireFly™ Micro Flyover System™ is the first inside-the-box interconnect system that gives designers the flexibility of using either a high-performance FireFly™ Copper Twinax Cable or FireFly™ Active Optical Module to launch signals from a mid-board position of the designer's choosing. This "Flyover" design approach breaks the constraints of the traditional architecture of routing high-speed signals through lossy PCBs, vias and other components. 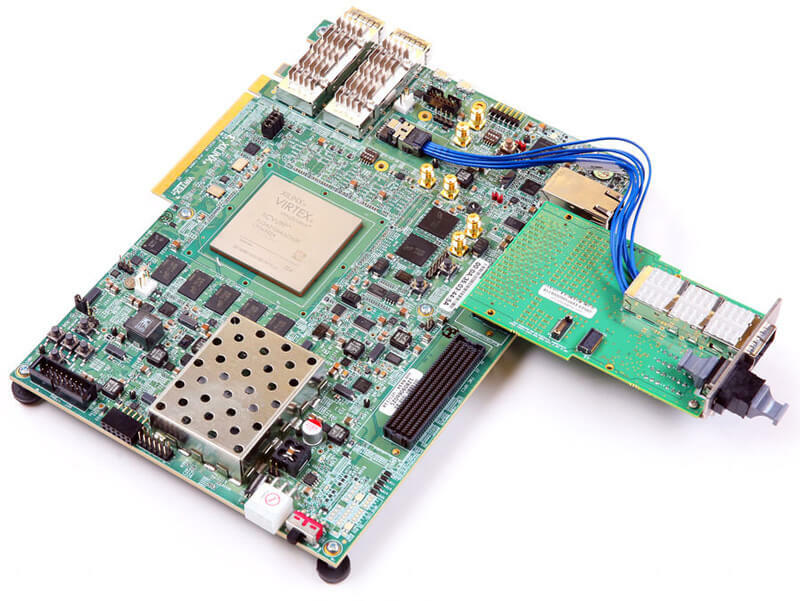 The result is a cost-effective, high-performance answer to the challenges of routing 28 Gbps signals through the board. 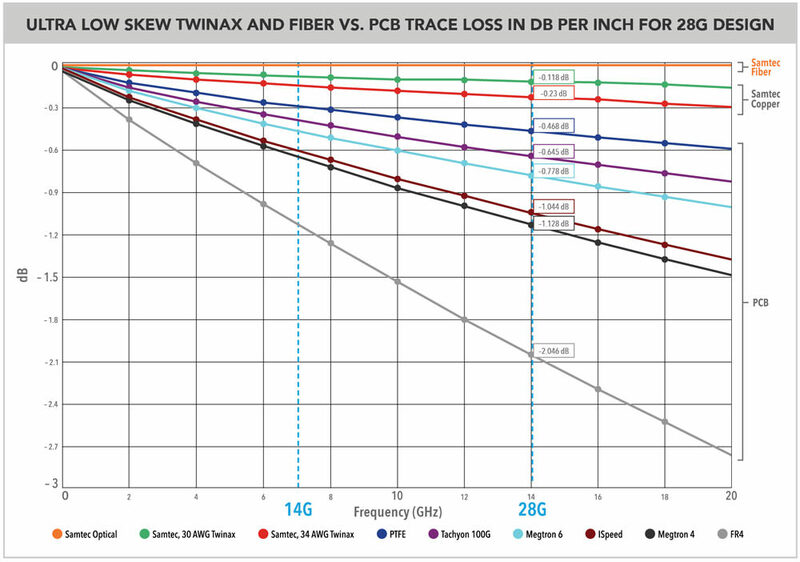 Samtec Twinax Cable or Optical Fiber based on Flyover Solutions for enhancing Signal Integrity. 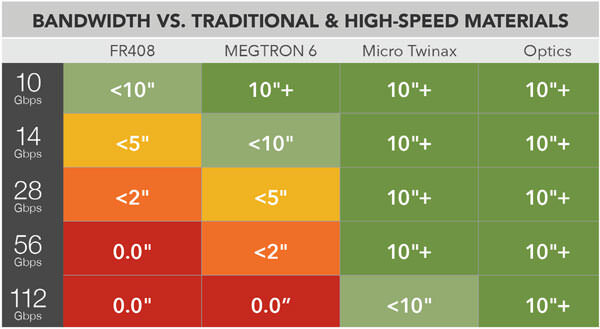 "Fly" critical high-speed data over lossy PCBs, rather than through them with Samtec's innovative family of Flyover Solutions. FireFly™ systems support all data center and HPC protocols including; Ethernet, InfiniBand®, Fibre Channel and PCI Express®. FIREFLY™ CONNECTORS: Samtec is introducing a second generation UEC5 edge card socket connector to optimize 28 Gbps performance and extend capability of the FireFly™ connector system up to 56 Gbps. FIREFLY™ TWINAX CABLE ASSEMBLIES: The FireFly™ Loopback Cable assembly included in the VCU118 kit is for 28 Gbps high-speed verification. FireFly™ Twinax Cable Assemblies in standard and custom configurations with a variety of "End 2" options are available from Samtec. FLYOVER QSFP28 TWINAX CABLE ASSEMBLIES: The direct attach Flyover QSFP28 cable assembly "flies" 28 Gbps high-speed signals over the PCB for improved and extended signal integrity at cable lengths beyond ten inches. Flyover QSFP28 Cable Assemblies in standard and custom configurations are available from Samtec. 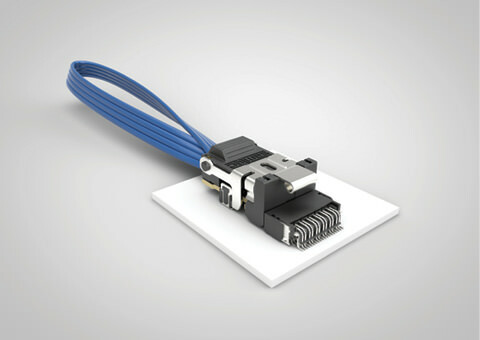 FIREFLY™ ACTIVE OPTICAL CABLE ASSEMBLIES: The Xilinx® VCU118 Development board has provisions to launch the Samtec FireFly™ Optical x4 28G Micro Flyover with fansink from the same FireFly™ connector system. This ECUO Series mid-board optics system is not included in the VCU118 kit but is available for purchase from Samtec. It offers performance to 28 Gbps in a x4 bidirectional design. FireFly™ Mid-Board Optics Systems in standard and custom configurations and various lengths up to 100 meters are available from Samtec.